SINGAPORE - Singapore’s fine-dining scene has been dealt another blow, with the pending closure of its only three-Michelin-starred restaurant Joel Robuchon Restaurant at Resorts World Sentosa (RWS) by end June. This comes just four months after the exit of chef-owner Andre Chiang of the two-Michelin-starred Restaurant Andre. He closed his Bukit Pasoh restaurant after eight years to return to Taiwan. Joel Robuchon Restaurant’s sister outlet at RWS, the two-Michelin-starred L’Atelier de Joel Robuchon, will also shut, although it may re-open in Orchard Road, according to a report by The Business Times. RWS confirmed the closures on June 7, but declined to elaborate. It said it would release a joint statement with Robuchon’s restaurant group soon. Both restaurants - opened in 2011 - will serve their last meals on June 30, just shy of the unveiling of this year’s Singapore Michelin Guideon July 25 . Joel Robuchon Restaurant is helmed by head chef Kim Joinie-Maurin, while L’Atelier de Joel Robuchon’s kitchen is run by chef Vianney Massot. 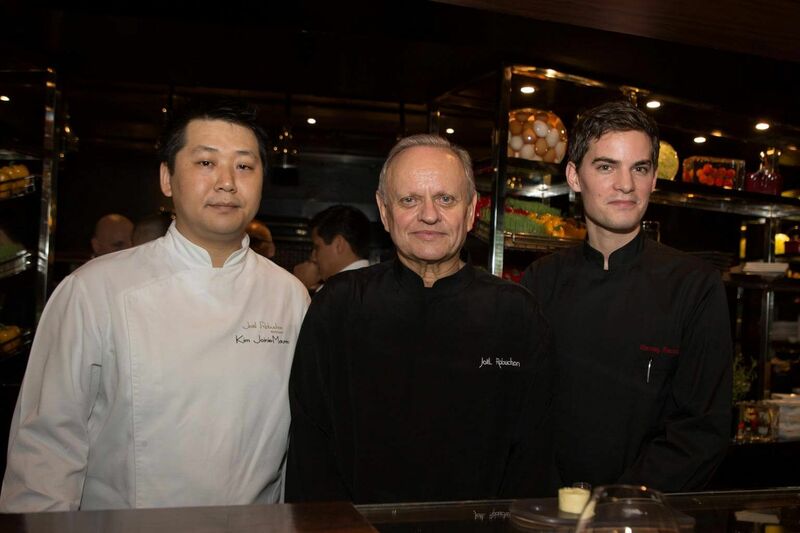 Chef Robuchon - who visits Singapore at least three times a year and has more than 25 restaurants worldwide - introduced the new chefs in November last year. Set menus start at $228 for a five-course dinner at L’Atelier de Joel Robuchon while a four-course dinner at Joel Robuchon Restaurant starts at $298. In a 2016 interview with The Straits Times, Robuchon, 73, spoke about the “need to be perfect” to achieve and maintain three coveted Michelin stars. He also said that fine dining would remain relevant but that the shift to casual dining would persist. The dining scene here got a boost in 2010 when integrated resorts RWS and Marina Bay Sands opened, both boasting celebrity chef restaurants. There are now 38 eateries with Michelin stars here. Big names are expected to open this year such as Marco Pierre White’s The English House in Mohamed Sultan Road, and Alain Ducasse at Raffles Hotel. Industry players point to steep rental rates, high prices and poor location as possible reasons for the restaurants’ closure. Mr Michel Lu, 49, executive chairman of Revolver Asia, that specialises in mergers and acquisitions in the food and beverage industry, said the far-flung location might have been an issue, adding that “Sentosa and RWS have not proven themselves as sustainable locations for fine dining”. “It’s sad, but also an opportunity for us to sit up and think of what kind of gastronomic city we want to be. Even casual places need to reinvent, but its easier for them to change,” he said, adding that a major problem is retaining staff. Others, such as Chef-owner Han Liguang of the one-Michelin-starred Labyrinth at the Esplanade Mall, are more upbeat. The closures, he thinks, will not affect Singapore’s restaurant scene. “We have plenty of passionate chefs here and it is a competitive industry. We always have new players and exciting restaurants coming up, and that will refresh the industry,” said the 32-year-old, adding that rumours that Joel Robuchon Restaurant might close had been swirling in the industry for some time. “But it never did. Then it won three Michelin stars, so I thought they had consolidated their position in the dining scene." Mr Nathaniel Chan, 35, who works in finance, has dined at Joel Robuchon Restaurant several times with his wife on special occasions. “It’s very unfortunate that they have to close, it is Mr Robuchon after all, not any random chef closing,” he said.